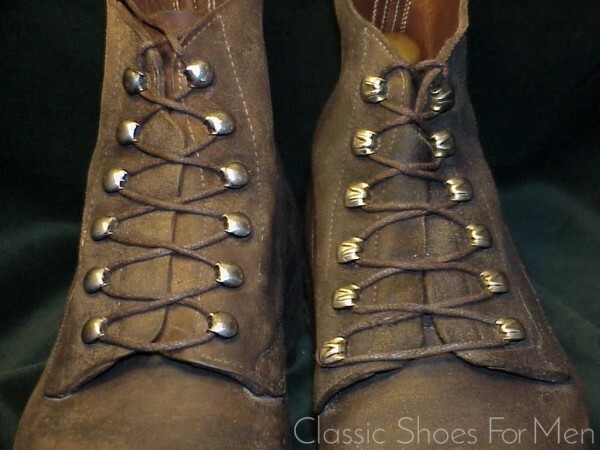 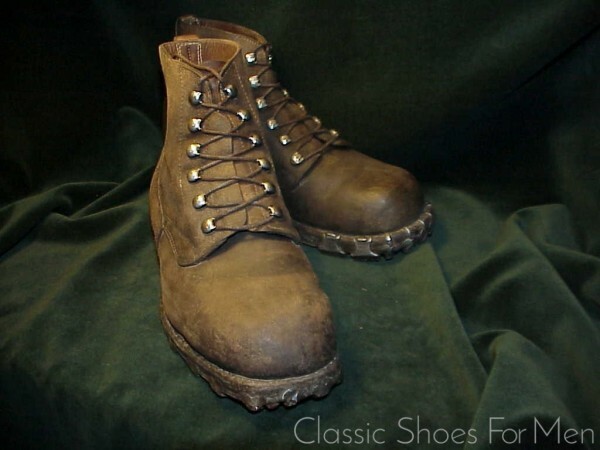 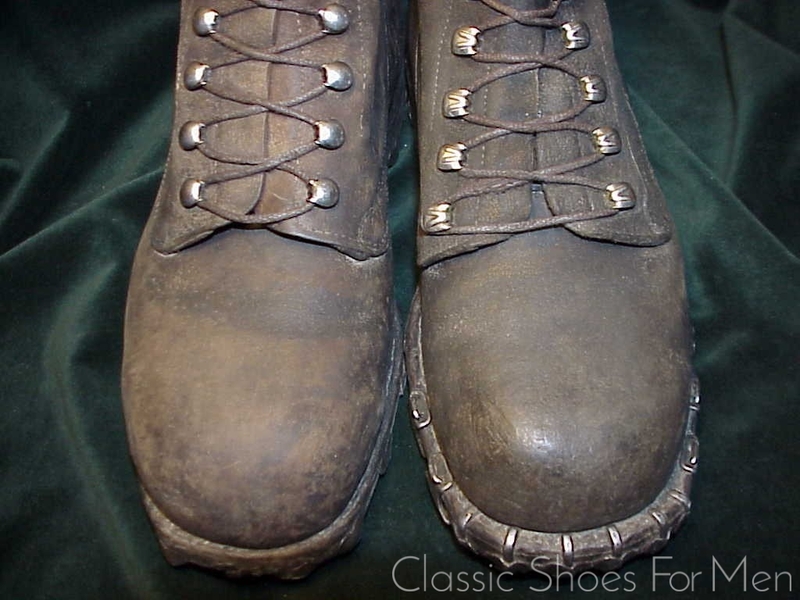 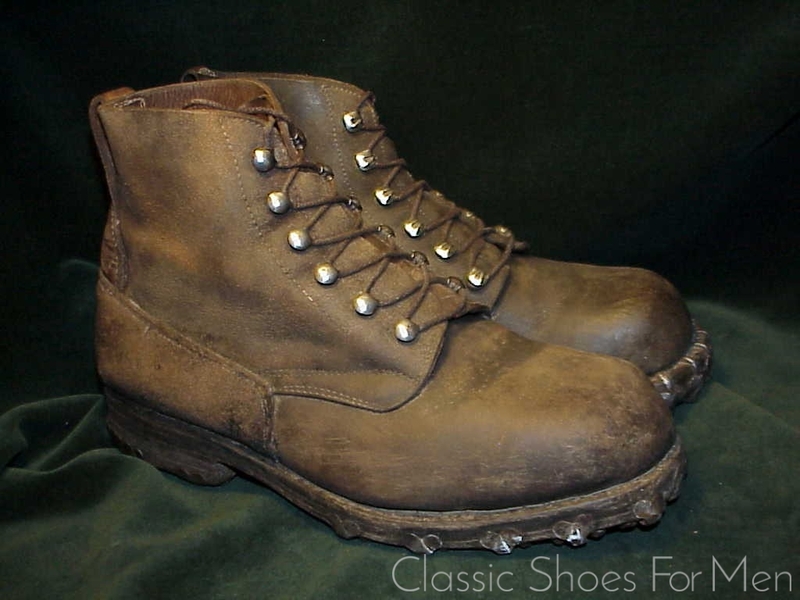 Hobnailed Boots in general are boots with proud-standing nails inserted into their soles to increase durability but also to improve traction in snow and ice, soft or rocky ground and, in mountainous areas, in scree (loose rock debris). 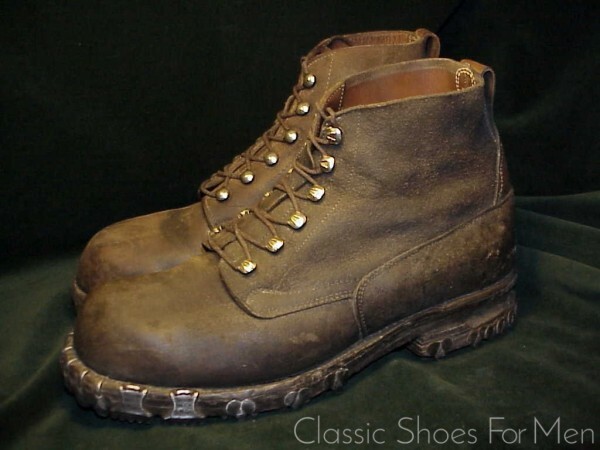 Developed around the Great War and worn in the mire of the trenches, hobnailed boots served the military of all combatants for more than half a century. Ammunition Boots are a Field Boot variety of the Hobnailed Boot. 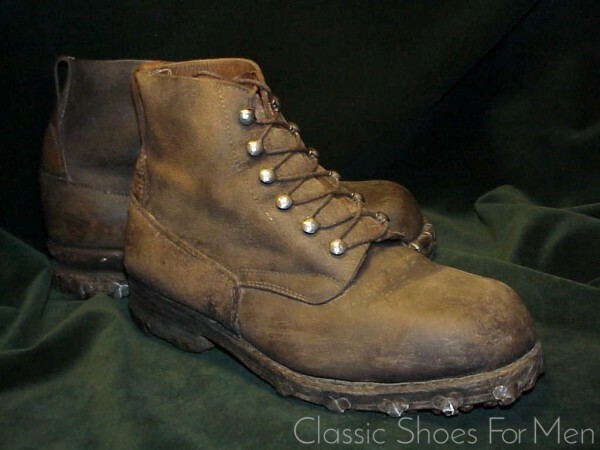 Alpine Boots or Mountaineering Boots are a specialized Hobnailed Boot and not to be confused with simple hiking boots as they are usually stiffer in order to support the wearer in steep terrain where a flexible shoe or boot could lose traction. Moreover they are rather more insulated and waterproofed. 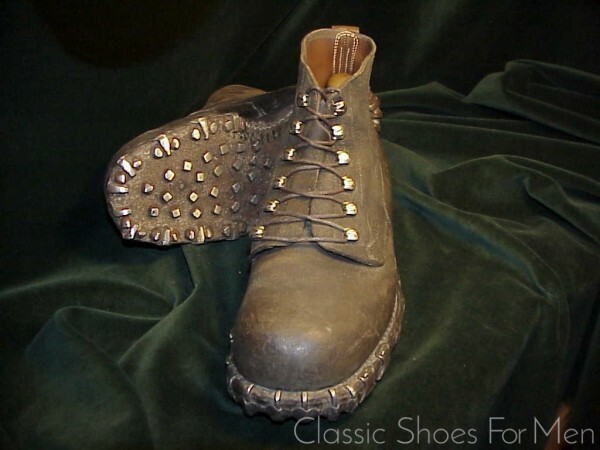 Some are designed to take crampons or, as in this case, fitted with 360 degree cleats. 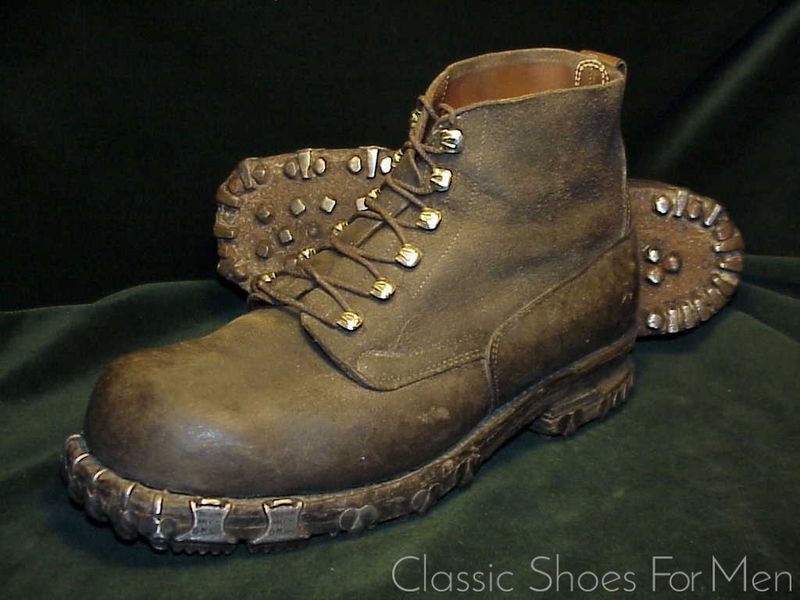 This shoe is hand made, using wooden nails, visible at the instep, to fix the layers of soles, as was common in Central Europe at that time. 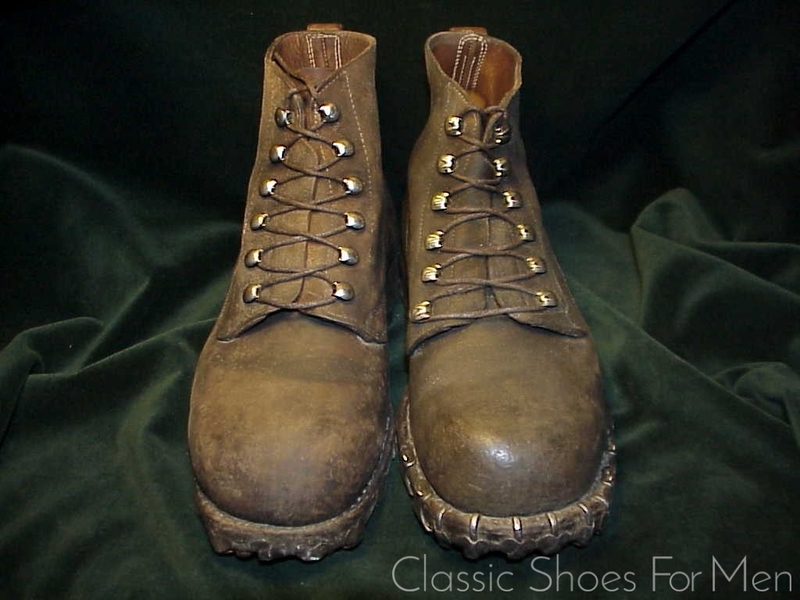 I know of no more durable boot than the pair shown here, or one more ideally suited for serious hiking, rock or ice climbing, crevasse traverse, rescue work, or any extreme-weather duty. The contemporary versions of these shoe, though hardly equal to this pair, are worn by rescue paramedics, mountain rangers, snowplow and snowcat drivers, ski lift and cable car operators and Swiss, Austrian and German Mountain Defense Forces. 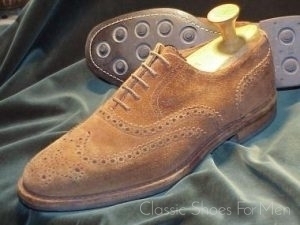 Continental 40-405D.........US 7-7.5D ...........UK 6-6.6E, for the medium width foot. 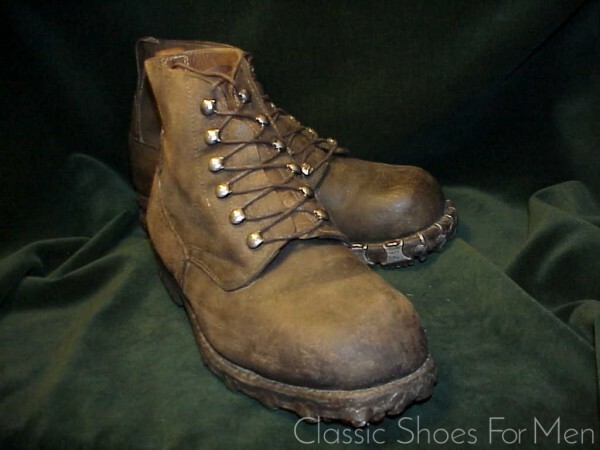 Trivial wear to bottoms. 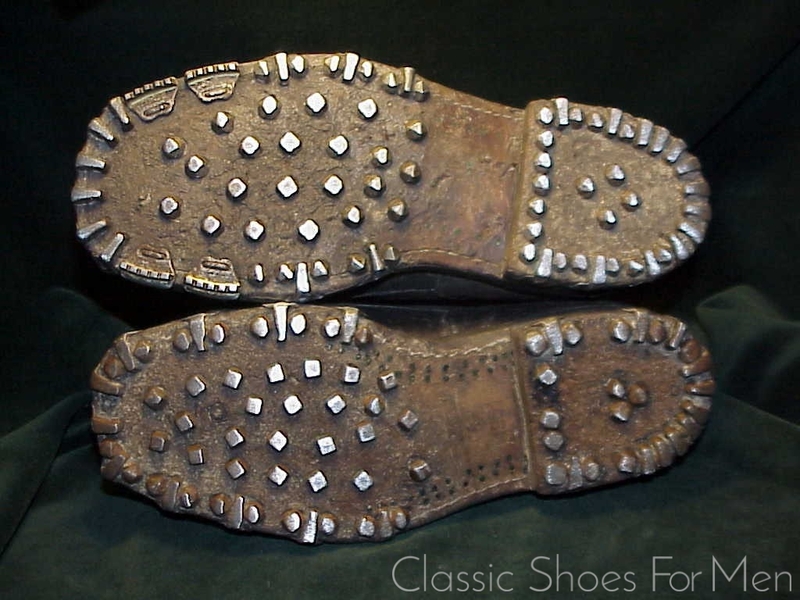 Cleats and hob nails quite randomly placed, as one would expect from a hand-made shoe. 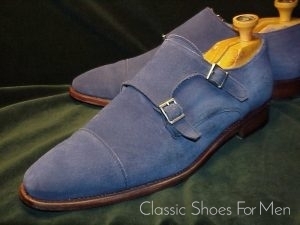 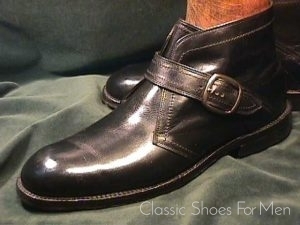 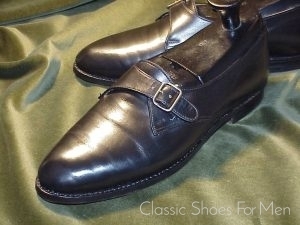 Upper leather incredibly robust; these shoe will take some breaking in.